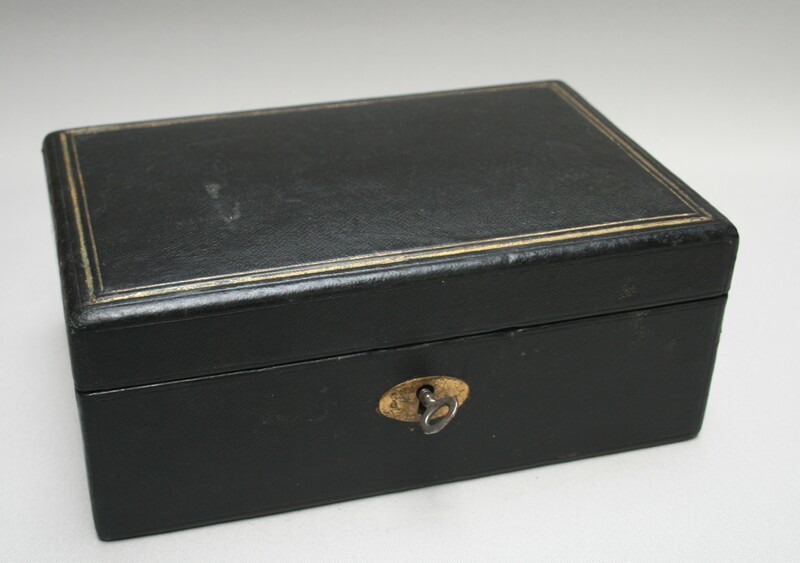 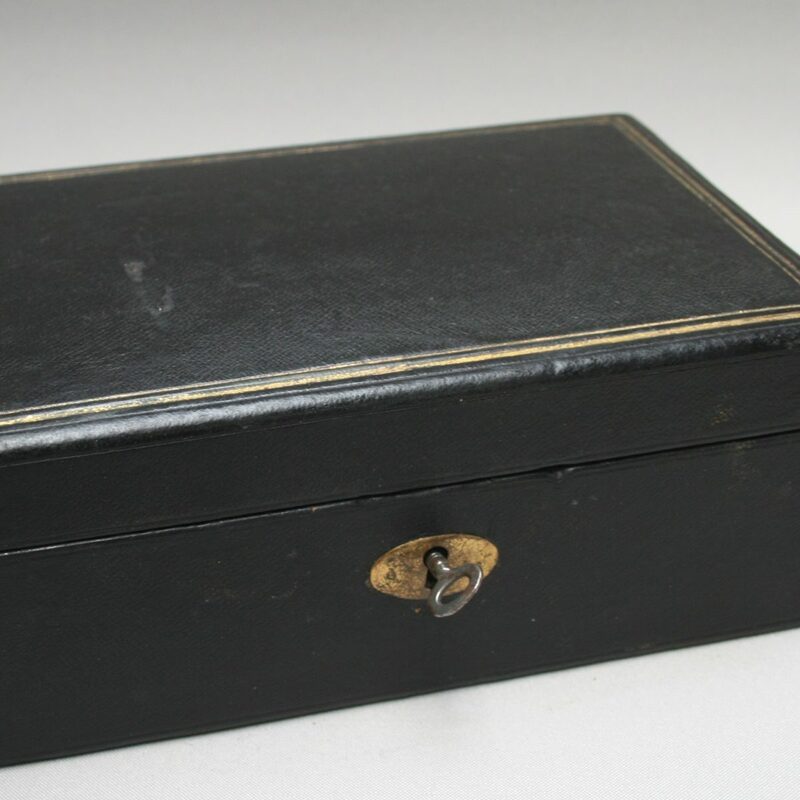 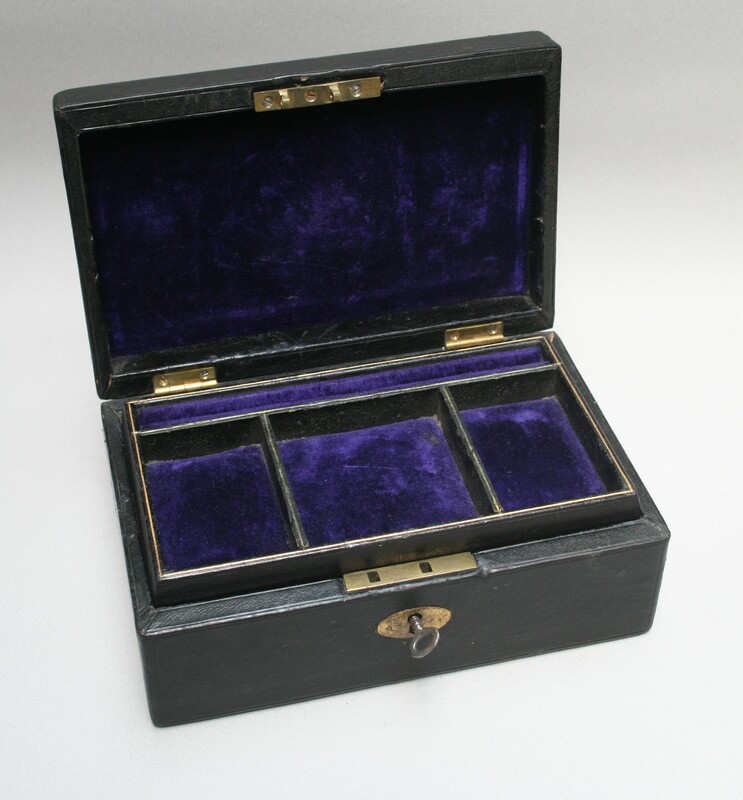 A rectangular black leather jewellery box with brass coloured lines to top. 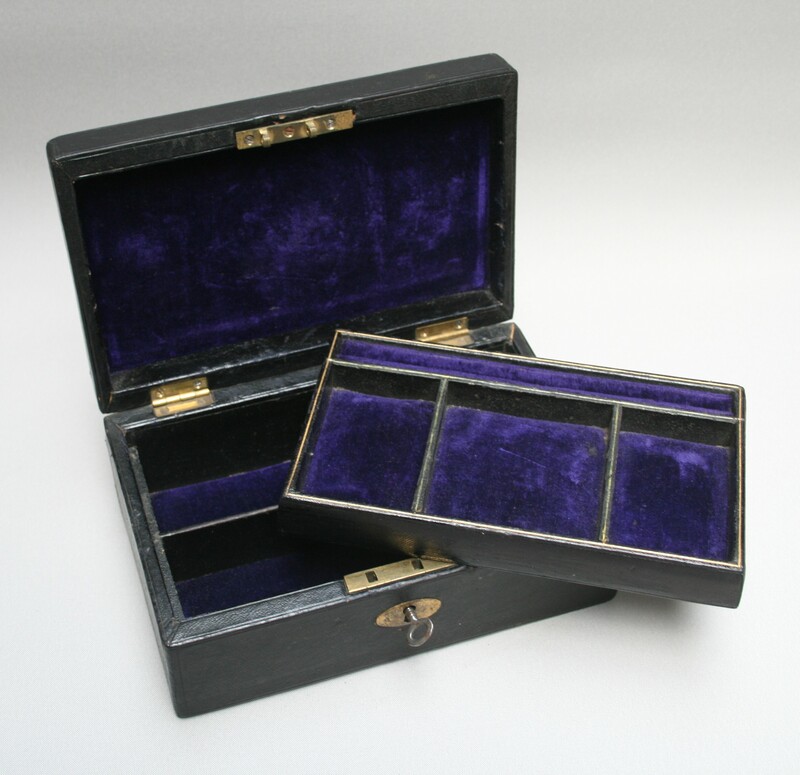 The lid opens to reveal a purple velvet coloured fitted interior. It has three compartments and a ring cushion to the back. The tray lifts out to show two more compartments below.